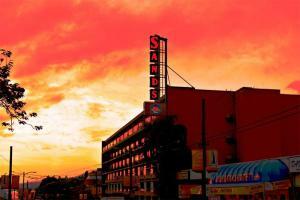 The Best Western Plus Sands Hotel provides a contemporary, relaxing and personable experience for all guests. The 120 stylish rooms and suites come equipped with deluxe features that include complimentary WiFi, flat-screen TVs and coffee makers. For those looking to relax, there is a fitness room and a sauna available as well. The hotel is home to two beautiful restaurants that are renowned for their stunning ocean views and delicious cuisine and drinks. Dine in style at The Park at English Bay or the Bayside Lounge Vancouver. Vancouver International Airport is 9 miles from the hotel.